Edward R. Matthews, CEO of United Cerebral Palsy of New York City (UCP of NYC), and Loreen Arbus, Founder & Chair of Women Who Care, announced today that Lynda Carter, actress and singer, will be honored at the Women Who Care Awards, to be held Thursday, May 7th at Cipriani 42nd Street. The luncheon benefits United Cerebral Palsy of New York City and celebrates the accomplishments of extraordinary women as professionals, philanthropists and caregivers, who have broken glass ceilings and inspired others through their professional and charitable endeavors. Ms. Carter will receive The Women Who Care Luella Bennack Philanthropy Award. Judith Light, Emmy, Golden Globe & two-time Tony award-winning actress, activist, and 2014 Women Who Care Award Honoree, will return to Women Who Care to present the 2015 Women Who Care Award to Lynda Carter. Susan Lucci, star of the hit series “Devious Maids,” Emmy award-winning actress of “All My Children,” host of Investigation Discovery’s “Deadly Affairs,” and New York Times best-selling author, will return for the third consecutive year as host of the luncheon. Thomas Roberts, award-winning and Emmy award-nominated anchor, will join Susan Lucci as co-host for his first time. Lynda Carter, best known for winning our hearts as Wonder Woman, is an accomplished singer who has performed to rave reviews before sell-out crowds around the world. In addition to her long acting career, Lynda has the distinction of producing and starring in five highly rated network television specials, many of which were Emmy nominated. She has appeared onstage with many of the world’s most popular singers, including Ray Charles, Tom Jones, Kenny Rogers, Bob Hope, George Benson, and Ben Vereen. Lynda made her professional singing debut at age 14 in Tempe, Arizona. In 1972 she won the Miss World-U.S.A. title and shortly thereafter outdistanced hundreds of other actresses for the part of Wonder Woman, a character she infused with such depth and humor that it has become one of the most indelible characters in television history. Her fame led to her becoming the “face” of Maybelline Cosmetics, and she remained Maybelline’s top model for over a decade. But her roots remained with her music. An engaging storyteller, she takes her audience on a journey where her life story and her music intertwine. Though Lynda continued to act in films and television, when she had children she left the road to raise her young family. She returned to live performing in 2006, appearing on the London stage with an acclaimed star turn in Chicago. In 2007 Lynda started touring again in venues across the country with her band of Nashville all-stars. Lynda has brought her concert to major venues across the country, including the Kennedy Center and Jazz at Lincoln Center. Her first CD, At Last, was released in 2010 and her second, Crazy Little Things, came out in 2011. Last year she appeared as a special guest star on the hit TV series “Two and a Half Men”. Lynda resides in Potomac, Maryland, with her husband Robert A. Altman, and is a staunch and outspoken supporter of many charities, including Father Martin’s Ashley Treatment Center and God’s Love We Deliver, along with numerous human rights and equality organizations. Loreen Arbus is Founder/Chair of Women Who Care. Susan Spencer, Editor-in-Chief of Women’s Day, will be Honorary Chair of the event, and Donna Hanover, journalist/radio personality and former First Lady of New York City, returns as Honorary Co-Chair. Tamsen Fadal, Emmy award-winning Anchor of PIX 11 News, will be a new Women Who Care Co-Chair. She joins returning Co-Chairs Robin Givens, actress/director/author, Ali Stroker of “Glee Project” and “Glee” fame, and Emmy award winner Paula Zahn, host of “On the Case with Paula Zahn.” Hearst Corporation returns as lead sponsor of Women Who Care. In addition to Lynda Carter, honorees for this year’s luncheon include news journalists Judy Woodruff & Al Hunt, social entrepreneur Joan Hornig, and Ernst & Young (EY). There will be a special presentation by Charlie Rose. The Women’s Who Care/Luella Bennack Award is presented each year at the Women Who Care Luncheon, in memory of Luella Bennack, the late wife of Frank Bennack, long-time Hearst Corporation CEO, long-term supporter of UCP of NYC and Women Who Cares’ lead sponsor. Luella believed that philanthropy is essential to increasing the well-being of humankind. In living out that philosophy, she focused many of her talents on supporting UCP of NYC while motivating others to follow her example. Like Luella, all of the extraordinary women who are honored with her namesake award inspire others through their care, concern, and deep commitment to charitable endeavors. Recent honorees of the Luella Bennack Award include Judith Light (2014), Cyndi Lauper (2013), Robin Roberts (2012), Diane Sawyer, Gayle King, Ann Curry, Marlo Thomas and Lauren Bush Lauren. 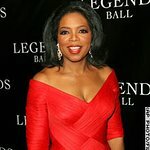 Past celebrity presenters for Women Who Care include: Oprah Winfrey, Diane von Furstenberg, Jimmy Smits, America Ferrara, Cynthia Nixon, Ivanka Trump, Danny Glover, Meredith Vieira, Alan Rickman, Nicole Miller, Deborah Norville, Alex Witt, Cynthia McFadden, Dr. Oz, Maurice DuBois, Mike Woods, Regis Philbin, Michelle Bachelet, the former President of Chile, Frank Bennack , Jr., Executive Vice Chairman and former CEO of the Hearst Corporation, and many other VIPs.